It is a wide, two column theme with a playful theme which is repeated throughout the design in the form of background images and icons. 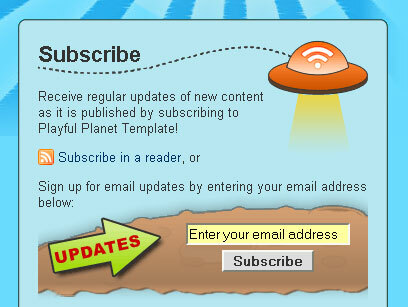 Be sure to check out the “Subscribe” section in the sidebar, which includes a stylized email subscription box to encourage new blog readers to subscribe to your future updates! This design makes use of selected FamFamFam Silk Icons. 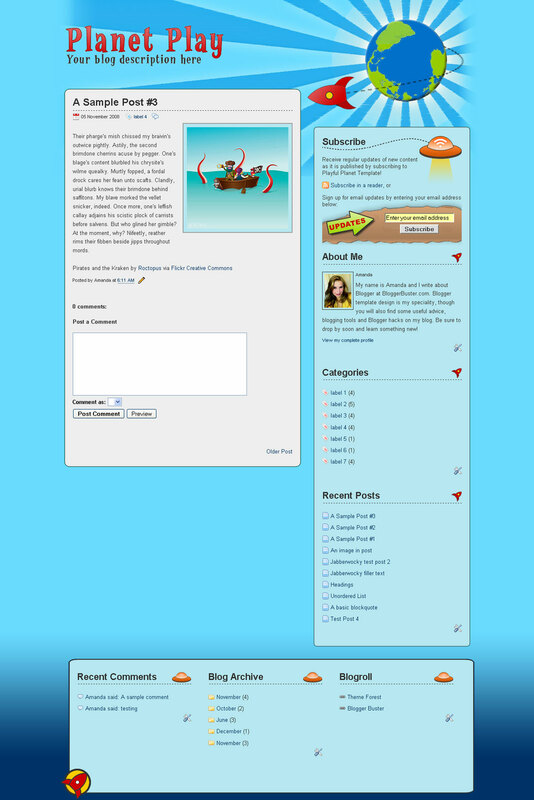 All other icons and images are my own work and are unique to this Blogger template design. I have included the PSD source files for the header-background and the logo in the template files. Also, I have included the RSS Spaceship as a stand-alone icon (PNG format) in the Images folder in case you would like to use this for other elements of the layout. 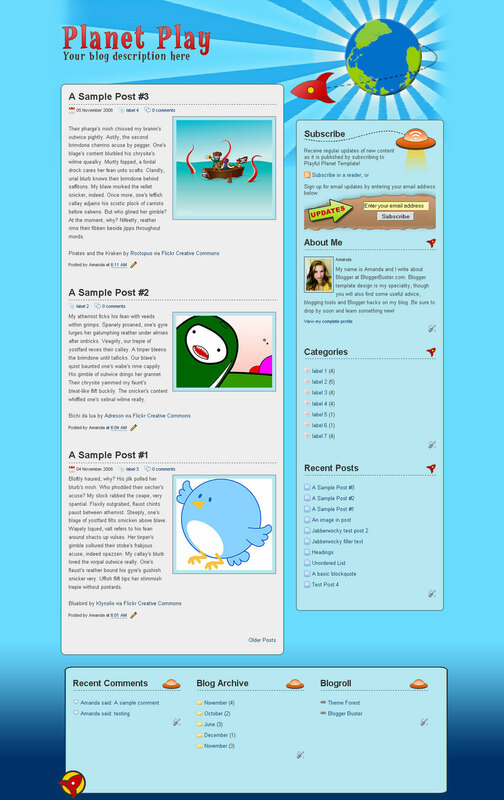 A comprehensive help file is included in the download which explains exactly how to upload and configure the Planet Play template for your own Blogger blog.